Tantalising mojitos, rumbas, rum, cigars, and exceptionally humble and friendly people—a potent combination that captures the spirit of Cuba. In spite of constantly being in the bad books of the Superpower, the fact that Cuba has managed to survive on its own terms while preserving its enviable culture definitely gives it a high coolness quotient in my book. Cuba has got a lot to be proud of and the country’s resilience has to be admired. In spite of the various trade embargoes imposed on it, the country has managed to survive and carve out a unique niche for itself. The Museo de la Revolucion gives a detailed account of the country’s numerous wars and revolutions, not only through photographs but also through intriguing artefacts like blood-stained and bullet-ridden jackets. Cuba’s relationship with the United States is aptly demonstrated by a statue of a Cuban in Havana, his finger pointing accusingly at the U.S. embassy. Against this revolutionary background, the Cubans are extremely modest in day-to-day life. During a tour of Havana, my shoelaces came undone. Before I could realise what was happening, the tourist guide bent down to tie them for me. I was taken aback—flustered, even—but the guide did not give it a second thought. 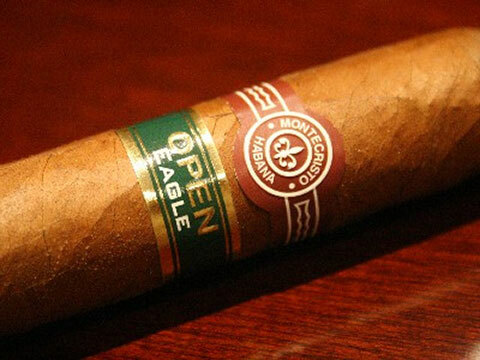 Cigars form a strong part of the Cuban culture and are made almost entirely by hand. Photograph by Inchka. The capital Havana, like an aged war veteran, was a glorious city once but now looks a little jaded with crumbling, sepia-tinged mansions and classic American cars. The old part of the city or Old Havana exudes romance, with the plazas turning into musical venues under the stars, playing live, upbeat Cuban music. The city is a U.N.E.S.C.O. world heritage site and is slowly being restored to its former glory with most of its buildings being converted into museums. Having an afternoon free, I found myself contemplating a tour to a cigar factory. To be honest, I would have been content to endlessly explore the alleys of Old Havana and the thought of a visit to a cigar factory did not really appeal to a non-smoker like me. But the cigar tour had been so heavily praised by all the guide books that (fortunately) I decided to take the tour. Cigars form a strong part of the Cuban culture and are made almost entirely by hand. A cigar festival is held in Havana every year and cigar tasting tours, as well as tours to nearby tobacco plantations, are extremely popular. The cigar factory was a real eye-opener. Housed in an old building, it consisted of a room filled with rows and rows of benches. The workers sat side by side on the benches, deftly rolling cigars by hand. A radio blared out loud music while the workers worked swiftly, adding a sense of an agreeable energy to the room. There was the strong enticing aroma of tobacco in the air. The room felt alive. It was noisy. It was hot. It was very Cuban! It felt as though the entire culture of Cuba had seeped into that one room. Though one was not present during my visit, we were told that the factory also had a tobacco reader. The role of the tobacco reader is to read to the workers while they worked—usually newspapers in the morning and novels in the evening. The tobacco reader is chosen from amongst the workers and they contribute a small portion of their salary to him or her. The novel is chosen by a process of negotiation and the choice of authors has ranged from Shakespeare to Dan Brown. The workers indicate their preference for the book by banging on the table with their knives—once to indicate approval and twice to indicate disapproval. Some of Havana’s most famous cigars have been named after books—‘Romeo y Julieta’ being a case in point. It was a shame that we could not see a tobacco reader in action. Cuba is seeking the U.N.E.S.C.O. world heritage status for this custom of tobacco reading so that it can be preserved as one of the unique traditions in the world. Extremely buoyed up by the experience of the cigar factory, I felt an uncharacteristic urge to smoke a hand-rolled, authentic Havana cigar. I purchased a few as souvenirs instead. My visit took place a few years ago and I have been told that these cigar factory tours are no longer conducted. That is unfortunate because it won’t be long before the ubiquitous stamps of globalisation start to make an appearance on the Havana scene. The country is already changing in several ways. I do hope that the timeworn elegance of the city does not get mauled amidst this onslaught. Viva la Revolución! By Sangeeta Mulay · For people living in Pune, the village of Ralegan Siddhi is not such an unusual choice for a day picnic.